The next installment in the much acclaimed blog series is upon everyone! I had a tough week predicting the score against the Texans but I did worry about Deshaun Watson's ability to put some serious pressure on the Pats defense and the Texans D-line crushing the Pats big bodies so all is not lost for my prediction abilities. Here are the first three weeks of this blog if you missed them. Lets get started on week 4 matchups! No matter how poorly Newton has played this season it's going to an entire team effort to stop this guy. He has weapons this season in Kelvin Benjamin and Christian McCaffrey and no one will ever forget his legs. If Watson can murder the Pats D using his legs than Newton could be even more dangerous. The Pats will be wise to keep Newton in the pocket and make him use his surgically repaired shoulder to beat the defense. He has been erratic throwing the ball and already has 4 picks. Additionally, he has only rushed the ball 14 times in three games. The Patriots would be wise to check the film on how teams have covered this offense up to this point and attempt to replicate that scheme. Newton is going to make some throws, he's too good for a struggling D to stop but he will be inconsistent and make some poor throws. Bill Belichick will want his defensive line to keep Newton in the pocket and be disciplined in their rushing angles. It looks as though Dont'a Hightower is going to suit up again and look for him to be a spy on Newton all game. I don't believe this is the best matchup for the Patriots D to get on track so we may see another game where the offenses dominate. Newton is still highly capable to get hot even with his accuracy issues. Carolina's defensive front is not as talented as the Texans was last week but they are an aggressive defensive team. Brady is an old man no matter how amazing his play has been and he can't be taking 9 hits per game and stay fully healthy. Those hits add up over a 16 game season and need to be limited. Carolina is going to come after Brady and his shaky offensive line and look to put the hall of famer on his back. I expect a big comeback performance for Nate Solder and the rest of the offensive line. It all depends of whether Marcus Cannon suits up in the game but the other 4 normal starters will be much improved. The Patriots are going to establish the run game early with Mike Gilislee to make the pass protection more manageable. Long time O-line coach Dante Scarnecchia will have his group ready to win the battle of the trenches. Thats could be the difference in the game with offenses putting up some numbers. This is a much more favorable matchup for the Pats O-line and look for Brady to have some time to survey the defense and for the run game to get some momentum. The Panthers will not make it easy for Brady and his squad though. This is a pretty broad matchup yes, but these are the guys who are patrolling the middle of the field in this game. These are also some of the best players in this game as well. Kuechly and Davis are the best linebacker pair in the whole league and will inevitably be matched up on Gronk, James White and Dion Lewis during this tilt. The Patriots will attempt to control the middle of the field with Gronk and the backs and get these skilled linebackers in man coverage where they are mis-matched. "This guy should be a candidate for MVP every single year." 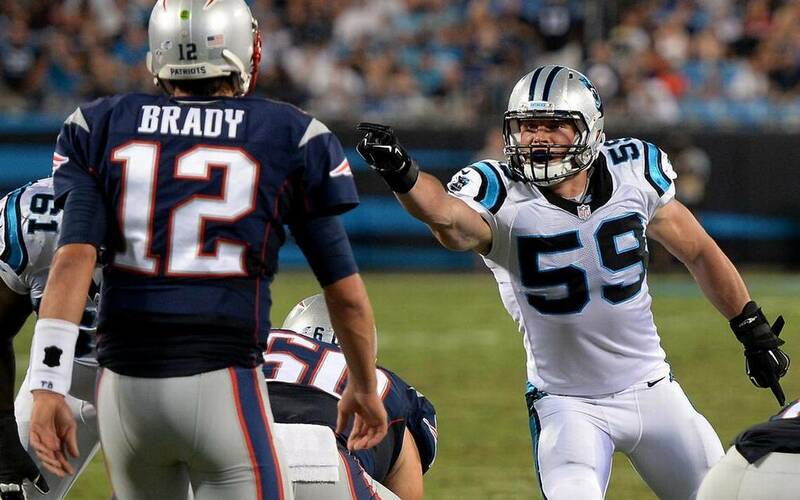 It will be no easy task because Kuechly is highly respected by Belichick and his staff. Kuechly and Davis are going to be flying around the field and the run game is going to be tough to get going with these guys pursuing the ball. This game may again be put into Tom Brady's hands to win. As I mentioned before, the offensive line will be improved so Brady is going to have time to work those option routes with Gronk, White and even Amendola. The linebackers will make some plays as skilled players do but this offense is too good for these guys and the Pats will move the ball at will. Look for a huge game from Gronk who is just hitting his stride. Everyone has heard how despicable the Pats defense has been thus far. Its all time bad for a Belichick team. The running backs have been killing the defense along with every other player who has eyes and can catch the football. McCaffrey is such a skilled multi-dimensional back that he must be keyed in on every snap. Newton really started looking for McCaffrey out of the backfield last week and they would love to continue that good rapport. Fantasy owners of McCaffrey should rejoice when facing this Patriots defense. I dont see Newton having an overall great game but McCaffrey is going to get plenty of touches against a defense thats been bad in all phases of the game. Getting Hightower back is big for a Pats linebacking group who will have a ton of responsibility in recognizing McCaffrey looking to leak out of the backfield. The Patriots have had such a hard time of losing containment on running backs and Hightower could help by putting the defense in the right calls and making sure Kyle Van Noy and Elandon Roberts don't over pursue the play. The struggling Carolina offense is facing the right defense though and should move the ball. McCaffrey will be a big part of their success. Benjamin is the main guy that Newton will look to when the going gets tough. The struggling Pats secondary will have their work cut out for them and will look to shut down the lanky Panthers receiver and also look to cut down on the poor coverage they showed against the Texans. This year reminds me a lot of 2014 when the talented secondary had a really slow start and weren't playing a ton of man to man across the board and were using Darrelle Revis and Brandon Browner in zone coverage. This year has been similar when the strengths of Butler and Gilmore are in press man coverage. This would be the game to break that defensive look out against Benjamin and his less impressive teammates. Benjamin will be doubled all game but should still get his fair share of targets. The Patriots safeties will be improved after a poor showing against the Texans but this defense will not yet put it all together against the Panthers. They still need a few more weeks to figure out how to utilize their players. The Patriots secondary will cut down on the mental mistakes which will help them mightily against the gunslinger Newton. The Patriots offense is going to score again and will hopefully have more balance in their game plan this week. This is one of the best offenses in the league and the Panthers are worse than the Texans and don't have the bodies to keep up with their speed and versatility. The Pats defense will be tested in the areas they have struggled all season and Belichick will look for improvement on the man coverage, run defense and awareness. Carolina is going to put some points up still on this Swiss cheese defense. Offenses will run this game once again as it has all season in Patriots games. 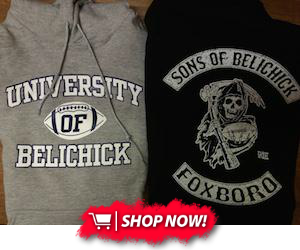 Check out my website at jakescearbo.com to read more articles about the Patriots by me!